to the Miles McKee Syndicate, $600,000. 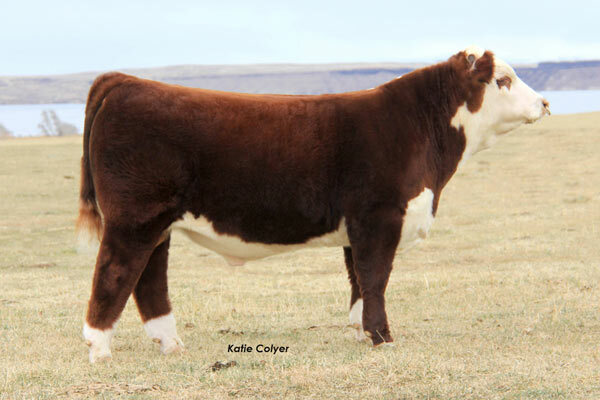 to Rausch Herefords, CML Herefords, & Schlosser Herefords - $41,000. to Hallbauer Herefords, IL - $21,000. to King Herefords, NM - $14,000. Lot 37 - C Miles McKee 2103 ET by NJW 98S R117 Ribeye 88X ET to the Miles McKee Syndicate, Dunlap, IA - $600,000. Lot 88 - C R111 Sentinel 2264 ET by K&B Sentinel 0042X ET to Rausch Herefords, CML Herefords, and Schlosser Herefords - $41,000. Lot 78 - C Tapped Off 2222 ET by TH 89T 743 Untapped 425X ET to Hallbauer Farms, IL - $21,000. Lot 7 - C 88X Ribeye 2011 by NJW 98S R117 Ribeye 88X ET to Big Gully Farms, Maidstone, SK - $18,500. Lot 89 - C Bar1 9161 Untapped 2267 ET by TH 89T 743 Untapped 425X ET to Bischoff's Ravine Creek Ranch, SD - $18,000. 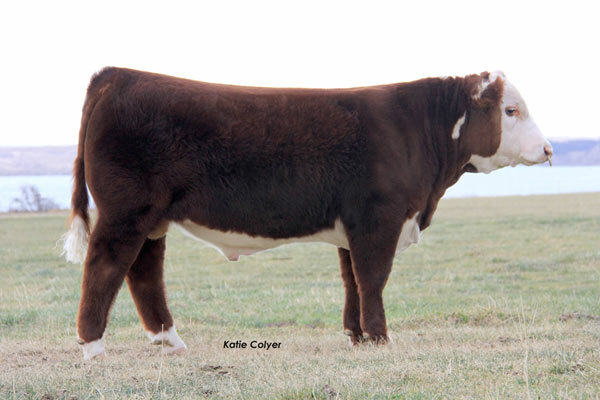 Lot 27 - C 88X Ribeye 2061 ET by NJW 98S R117 Ribeye 88X ET to Lohner Herefords, SK - $16,000. 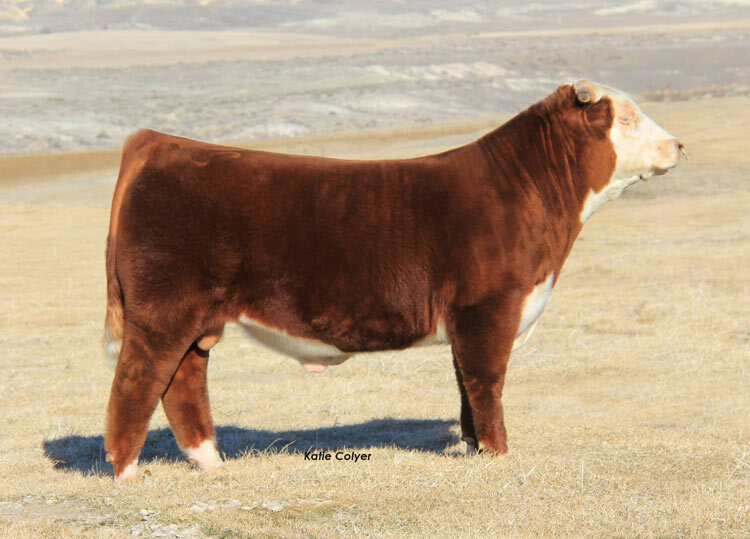 Lot 83 - C Bar1 Untapped 2248 ET by TH 89T 743 Untapped 425X ET to King Herefords, NM - $14,000. Lot 43 - C R111 Mr Hereford 2111 ET by TH 71U 719T Mr Hereford 11X to TI Ranches, NV - $10,500. Lot 144 - C 88X Gold Ribeye 1309 ET by NJW 98S R117 Ribeye 88X ET to Elm Tree Farms, KY - $10,500. Lot 76 - C Notice Me Untapped 2214 ET by TH 89T 743 Untapped 425X ET to Micheli Ranch, WY - $10,000. 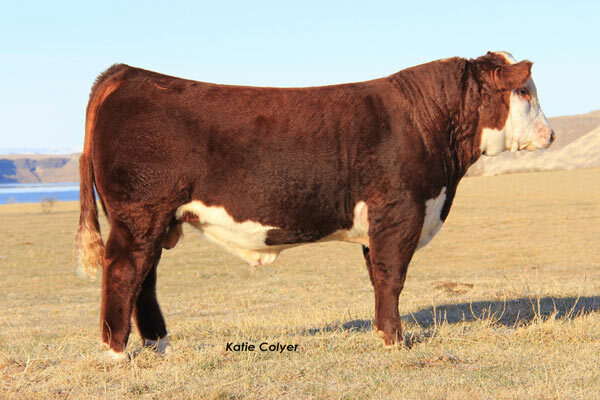 Lot 90 - C Bar1 9161 Untapped 2268 ET by TH 89T 743 Untapped 425X ET to Barry Hereford Ranch, OR - $9,000. Lot 74 - C Notice Me 11X 2205 ET by TH 71U 719T Mr Hereford 11X to TI Ranches, NV - $9,000. Lot 145 - C 88X Gold Ribeye 1312 ET by NJW 98S R117 Ribeye 88X ET to Rogan Farms, TN - $9,000. Lot 173 - C 11X Ms Hereford 2204 by TH 71U 719T Mr Hereford 11X to Moss Land & Cattle, OR - $7,200. 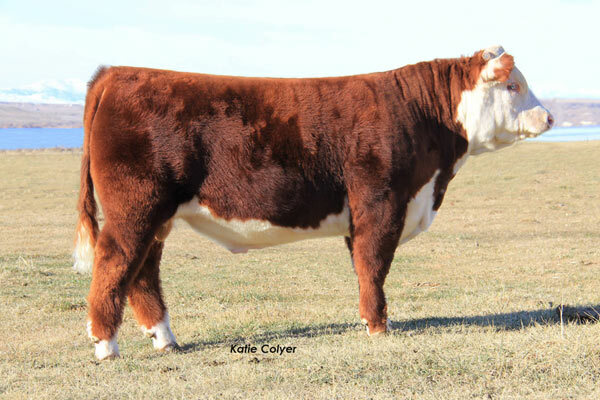 Lot 182 - C 1P Ribstone Lady 2290 ET by LCI 157K Ribstone 79P to GKB Cattle Co, TX - $5,750. 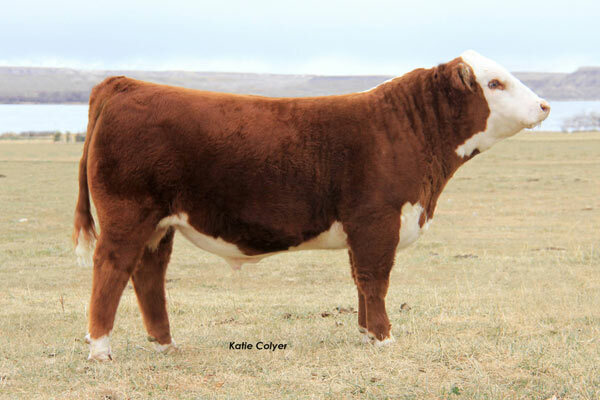 Lot 162 - C 88X Ribeye Lady 2055 by NJW 98S R117 Ribeye 88X ET to Sonoma Mountain Herefords, CA - $4,750. 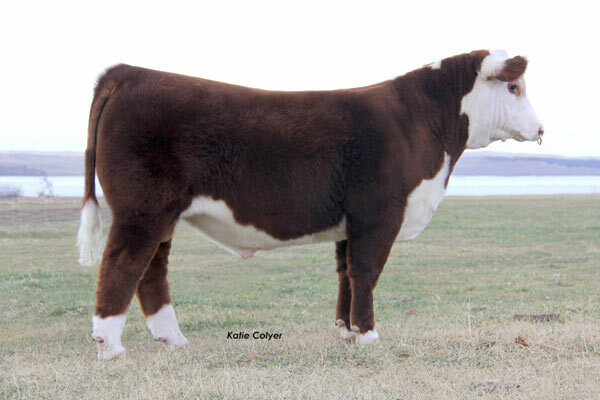 Lot 167 - C Notorious Lady 2143 by C Notorious ET to Trail Polled Herefords, NE - $4,000. Lot 241 - CCC Aberdeen 2108 by TC Aberdeen 759 to Tom Davis, SD - $9,250. Lot 206 - CCC Pioneer 2038 by SAV Pioneer 7301 to TFI Limited Partnership, ID - $8,500. Lot 208 - CCC Aberdeen 2041 by TC Aberdeen 759 to Tom Davis, SD - $8,000. LOT 217 - CCC Iron Mountain 2063 by SAV Iron Mountain 8066 to Wilson & Wilson, ID - $8,000. Lot 235 - CCC Pioneer 2098 by SAV Pioneer 7301 to Wilson & Wilson, ID - $7,000. Lot 258 - CCC Bismarck Lady 2047 by SAV Bismarck 5682 to Amelia Spratling, NV - $3,000. Lot 256 - CCC Thunder Lady 2007 by Connealy Thunder to Deep Creek Mountain Gelbviehs - $2,900. Lot 269 - CCC Mountain Momma 2138 by SAV Iron Mountain 8066 to Amelia Spratling, NV - $2,700. Lot 262 - CCC Brilliant Lady 2106 by SAV Brilliance 8077 to Ken Kohen - $2,600.